Coming in January consumers visiting any of our Merchant mobile websites will be able to check-in to their favorite Place app. This is another step in our quest to provide merchants with a single, SMS/web-accessed gateway to all things them. 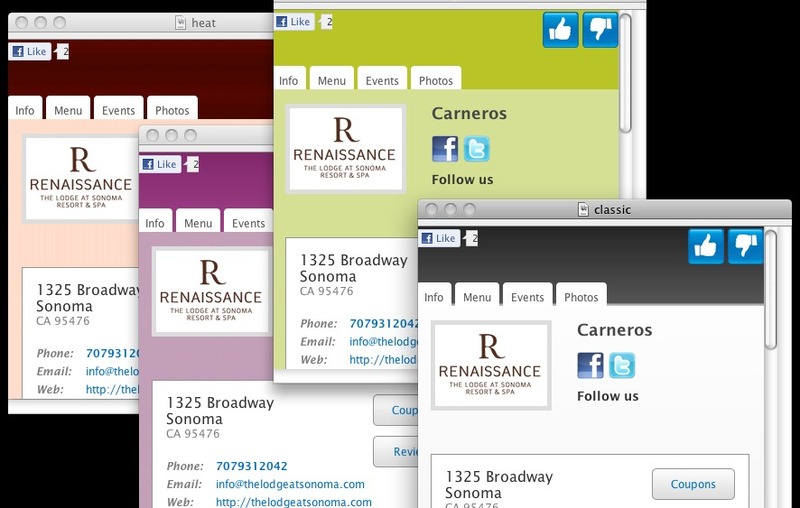 One text of the merchant keyword to 55411 equals instant info, deals and social interaction. And no app to download. If your business relies on appointments arriving as scheduled then you’ll love our new Appointment Reminder feature. Now, not only can you use the Outbound Messages portion of our platform for promotional messages, you can also use it for scheduling automatic SMS appointment reminders. Great for Doctors, Dentists, Vets, Hair Salons, Spas, Contractors and others who plan their day with appointments. When you create your mobile website with InSequent you may now choose from four different color themes to suit your preference. Mobile website, keyword and short code – everything you need to connect, and stay connected, with on the go consumers. 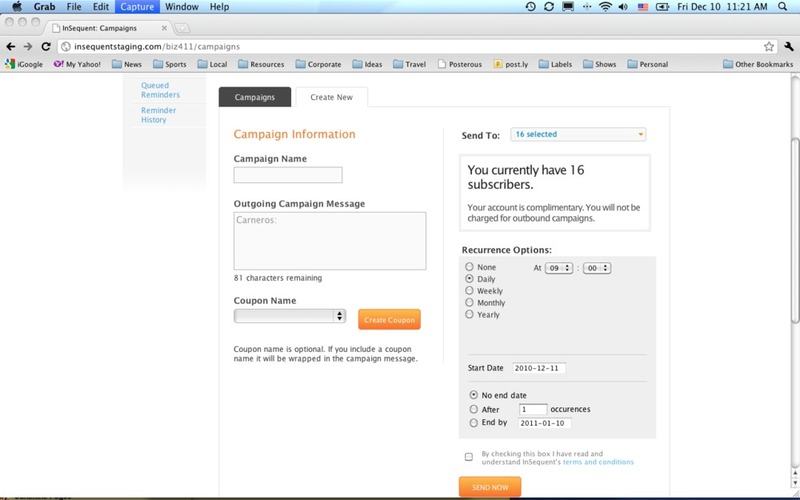 Due to popular demand we have launched several new features to our mobile messaging module. A “Set it and Forget it” feature allows you to schedule the same message to be sent at a specified day and time automatically. For example, you could set a message reminding all your customers of your Monday Night Football Party to go out every Monday at noon. 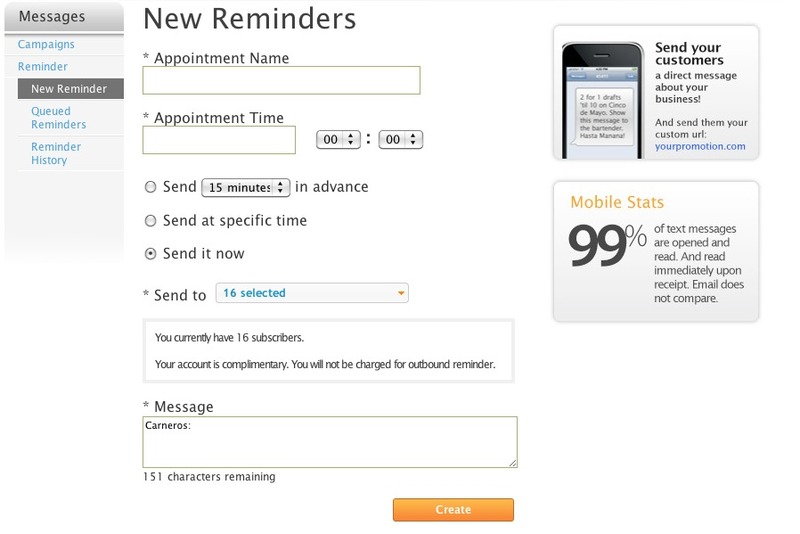 We also added an “Appointment Reminder” feature so Doctors, Dentists, hair salons etc can send an automatic reminder to their patients/customers at a specified time before their appointment. These are just a couple of handy features that are part of our Version 1.13 release on 12/12. We will also be going live with two white label customers.